New Job opportunities,the reduced communication gap between a patient and doctor, the artificial intelligence-based healthcare system, andthe digitization has surely created an amazing era of healthcare IT. Evaluation–Diagnose–Treatment. This is the traditional and generally accepted method ofa medical procedure. However, the healthcare sector has evolved overthe last couple of years. Today’s healthcare is using a new, digitalcompanion to determine how patients feel based on much more than their present medical condition. Healthcare information technology or healthcare IT is widely used by doctors, surgeons, and pharmacists to understand medical information of patients and improve communication between doctors and patients. The major advantage of the healthcare IT is that it reduces the communication gap between a patient and doctor as the healthcare IT collects and converts the patient’s information from paper records and medical charts to electronic data.This migration provides direct access to patient’s information to doctors irrespective of their location and enables to share knowledge with other doctors than the currentmedication providers. Moreover, the doctor-recommended prescriptions can be transmitted electronically owing to the healthcare IT, which has improved efficiency and reduced the valuable time. Healthcare IT is much more than just an electronic version of paper medical records. It includes previous maintained medical images by radiology departments and opinions of specialists on a certain method of treatment. In addition, the digital messages including emails,healthcare tips, chat logs, the day-to-daymedical progress of a patient, and financial factors such as scheduling and billing fall under the sky of healthcare IT. However, these records must be stored and maintained carefully to prevent invasion of privacy. On the other hand, the technological advancements and easily accessible facilities fuel the demand for healthcare IT. Roughly, two-third Americans have instant access to the internet, which eliminates a patient’s restrictions with medical consultants.The tech giants such as Microsoft, Apple, and other new startups are developing up-to-the-minute opportunities in the healthcare IT market by improving access to digital applications and providing efficient security features. 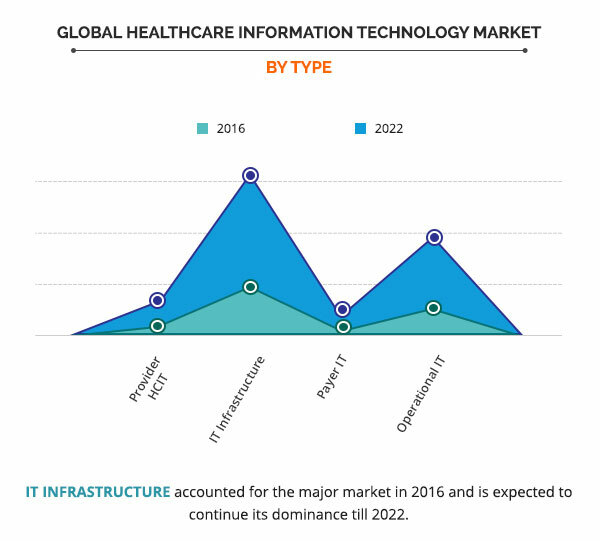 This has increased demand for healthcare IT services, boosting the growth of the healthcare information technology market. According to a report published by Allied Market Research, the market is expected to register a CAGR of 13.2 % in the period 2014–2022. The growth of healthcare IT has created a surge in job opportunities in IT sector. According to the U.S. Bureau of Labor Statistics, by the end of 2024, the need for healthcare and medical managers will boost by about 17 percent. The healthcare IT management jobs oversee the entire system process and its day-to-day operations.Healthcare providers are finding hard to pick employees for the job positions such as development, analytics, coding, and research. Moreover, just collection of healthcare data is not enough.Once that data is received, it needs to be analyzed by skilled professionals and constantly updated and improved the respective systems. Therefore, coding experts are extremely essential to smoothly transfer the individual records of patients to a central hub, by changing the codes that could otherwise interrupt the transfer of information. It is estimated that the requirement of such new codes is nearly 130,000. Moreover, the IT specialists assist healthcare service providers to obey the federal guidelines for records, a collection of data and share to protect a patient’s privacy. 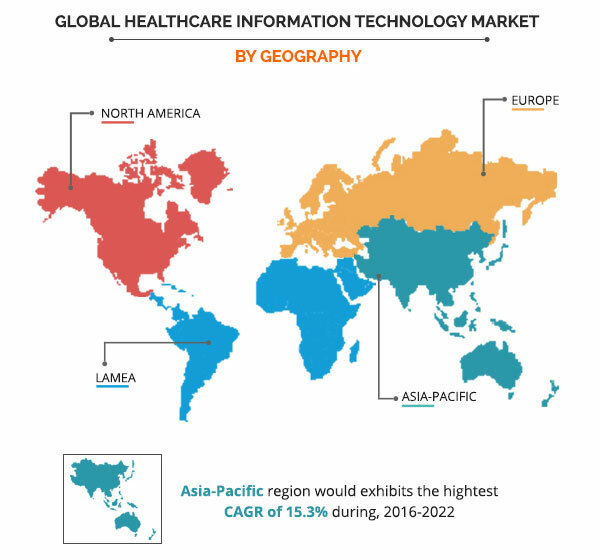 Due to such requirements, there are ample of IT companies and even startups that are launching new platforms to develop a sustainable healthcare IT department. Recently, JavaraInc., a clinical research service organization, launched a platform that is focused on compelling innovative research partnerships, service,and technology to healthcare systems. 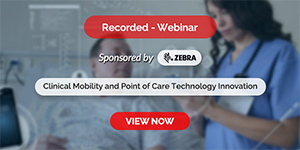 Jennifer Byrne, the co-founder,and CEO of Javara stated that the new healthcare IT platform will bring better outcomes for patient-centered care, better economic results, and easier research delivery model to the biopharmaceutical sector. It is no secret that healthcare sector holds a humongous amount of data; if incorporated with artificial intelligence (AI), it will open innumerable opportunities in future. Microsoft, one of the largest information technology companies, has been working on several healthcare-related projects. Recently, Microsoft made clear its exact intentions behind developing a Microsoft healthcare team. The company aims to create a cloud-based patients’ profile, push doctors to use more cloud-based services, and eventually develop an AI to analyze the huge data. Microsoft hired two industry past masters: Jim Weinstein and Joshua Mandelto help achieve this goal. Jim Weinstein is the former CEO of the Dartmouth-Hitchcock Health System, who has now joined Microsoft Healthcare and will help the migration of healthcare data to the cloud. Joshua Mandel is an ex-Google employee who will assist in building open cloud architecturefor all healthcare service providers. The prime motive behind the project is to find a way to shift healthcare data to the cloud without jeopardizing its confidentiality. This new team will be a part of Microsoft’s AI research division. Peter Lee, the head of Microsoft healthcare, explained, “At Microsoft, we’re confident that many aspects of the IT foundations for healthcare will move from on-premise doctors’ offices and clinics to live in the cloud. We are taking concrete steps with an initial ‘blueprint’ intended to standardize the process for the complaint, privacy-preserving movement of a patient’s personal health information to the cloud and the automated tracking of its exposure to machine learning and data science.”The company wants to pave the way to create an open architecture that eventually helps doctors, nurses, and healthcare service providers, and to allow more time for patients to spend face-to-face time with doctors. The new platform will open new opportunities for healthcare data to be shared and to protect its privacy.Such innovative projects and huge investments in healthcare AI proves thatthe incorporation of AI in healthcare IT will be a fruitful investment for the healthcare providers, and no doubt it will be a key to the bright future of healthcare sector.